THIS ITEM IS RESTRICTED TO DEPUTY U.S. MARSHALS ONLY! US MARSHAL STAR IN SILVER. AVAILABLE ON FLEX-FIT HAT IN TWO SIZES, SM-MD (6 7/8-7 3/8) AND LG-XL (7 1/4-7 7/8). ADD CUSTOM TEXT ON BACK OF HAT FOR $5.00! TYPE LETTERING IN BOX. COLORS: NAVY OR BLACK. 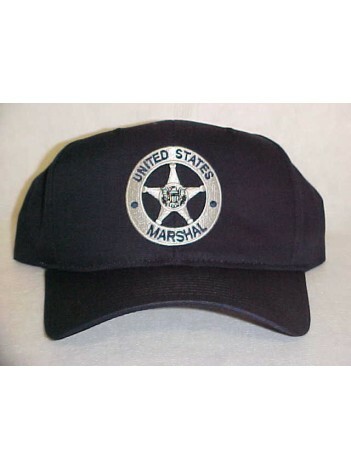 $14.50 This item is restricted to Deputy US Marshals only.